A Quiet New England-style village, founded in 1805. 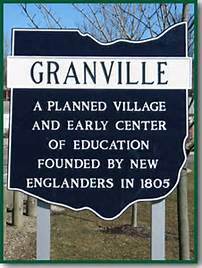 Granville, Ohio, is located 30 miles northeast of Columbus, in a predominantly upper-middle class residential community of approximately 4,400 residents (9,000 village & township combined). It is a quaint New England-type village founded in 1805 by pioneers from Massachusetts and Connecticut. The area enjoys a favorable reputation for its educational institutions, including Denison University and the Granville Exempted Village School District. The Granville community values its beautiful historic homes and buildings, many featuring the Federal and Greek Revival styles of architecture. The downtown is home to two historic bed and breakfasts – the Buxton Inn and the Granville Inn. The Buxton Inn was founded in 1812 and is Ohio’s oldest continuously operating inn in its original building. The community offers residents an active lifestyle, including the 14.5-mile Evans Foundation Bike Path, along with several parks, golf courses and tennis clubs. Lake Hudson offers picnicking, fishing, camping and swimming. Gardeners can enjoy a community co-op garden. In addition, many community festivals and seasonal events lend fellowship and flavor to this thriving, diverse community. Celebrating its bicentennial in 2008, Licking County also offers Granville residents many resources within a short driving distance. 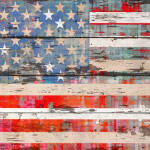 Unique destinations dot the county: historic treasures, natural excursions, sports and the arts all have something to offer area residents. 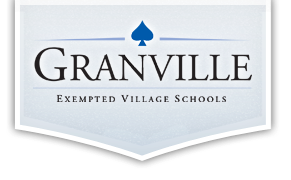 Granville ranks fourth among Central Ohio schools based on the Ohio Department of Education’s 2014 Performance Index.